Handicapped, disabled, differently-abled, physically challenged. What a range of opinions there are about those terms. Losing a leg, as one of my friends did in an auto accident, means he is legally disabled, definitely handicapped. He changed from a physical profession to a desk career. So, he’s definitely handicapped, and by legal definition, he’s disabled. It’s difficult to do even forty hours a week of desk work when you have a major imbalance in your body. You do put both feet on the floor while sitting, which helps you stay on the chair, and keeps your back from being distorted. Disability does imply greater impairment or need. 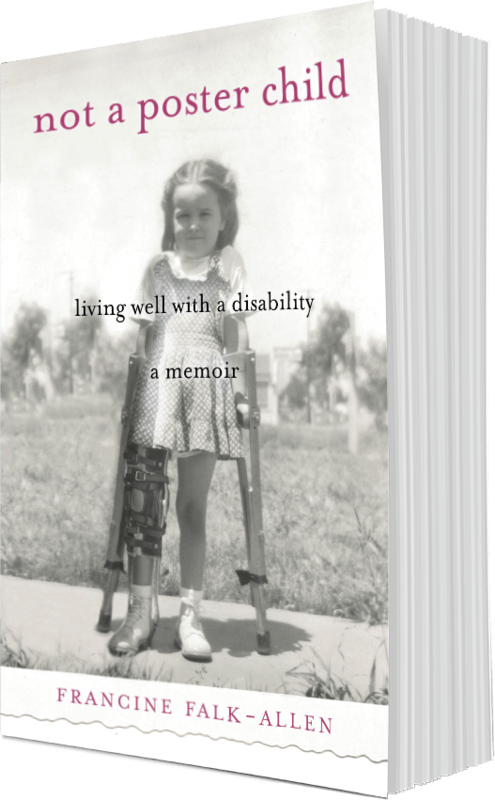 I’ve had people tell me that they do not think of me as disabled, and what that implied for me was that they thought disabled meant inability to function at all. Today, I am not offended by the term. My view is that “disabled” conveys an impairment that is severe enough that tasks most people can perform cannot be done without exceptional effort. Of course, tasks and activities range from easy to impossible. To me, handicapped means that one has some physical (or distinct mental) limitations and need to be allowed some time, or physical or emotional “space” to be able to function as almost-normally as you are able. And now, the original “Handicapped Sports” which became “Disabled Sports Far West” has changed its name to “Achieve Tahoe.” So, even within the disabled community, there can be controversy. I propose that someone who is shy is not disabled, and by my own definition, he or she is not handicapped, they are experiencing a potentially surmountable limitation — maybe self-imposed, maybe caused by how they were treated in childhood, and possibly so deeply engrained that it is experienced as a handicap. People may feel handicapped by their personality traits, and you hear thing like this said: “He’s handicapped by his shyness.” I’m not referring to people with autism or schizophrenia; those are disabilities that are beyond argument. PTSD is a serious condition, but it can be overcome with a lot of attention and work. Though normies or even DP’s mean well with differently-abled or physically challenged, to me those descriptives are a mouthful. They may even be used because the truth is being denied: that we have limitations most people don’t. I like “handicapped” best, but no matter what I call my limitations, they remain unaffected by any euphemism.